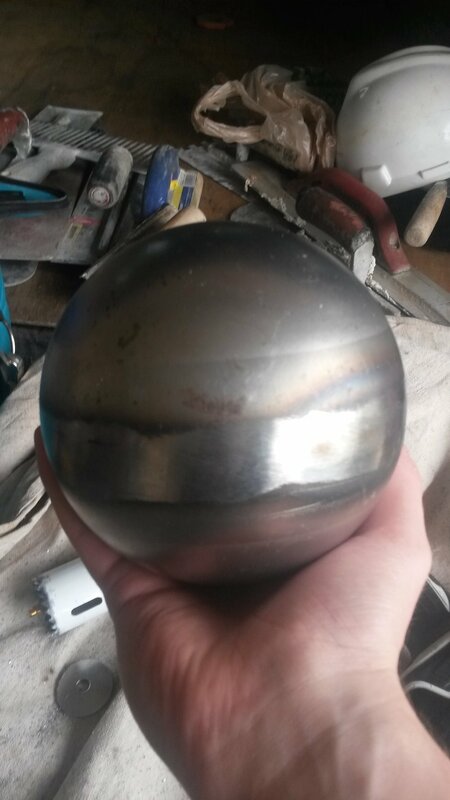 To start this lamp project I purchased a steel ball. 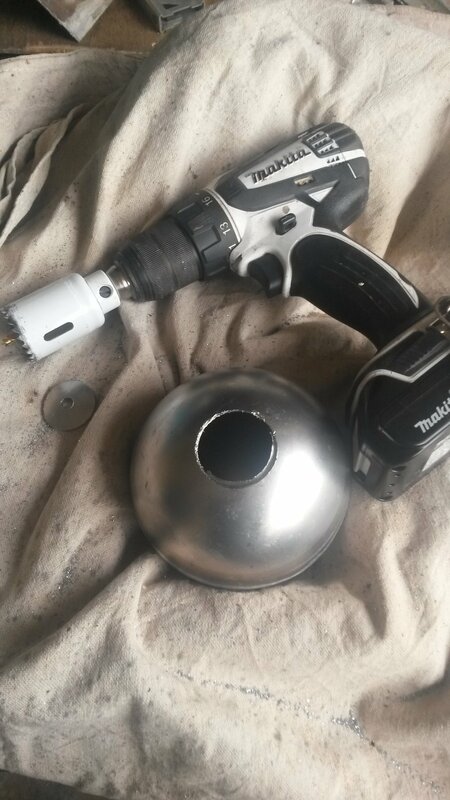 To create a base, and a place to insert the light bulb, I bored a 1 ½”⌀ hole. 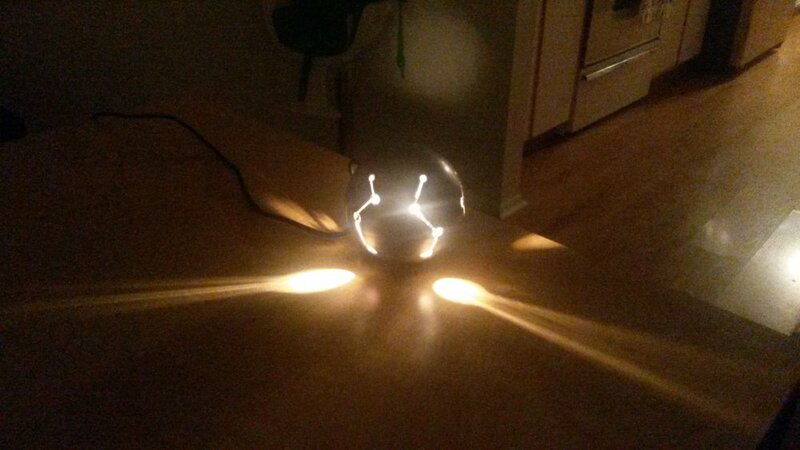 To allow light to come through, I bored several holes around the surface of the sphere. 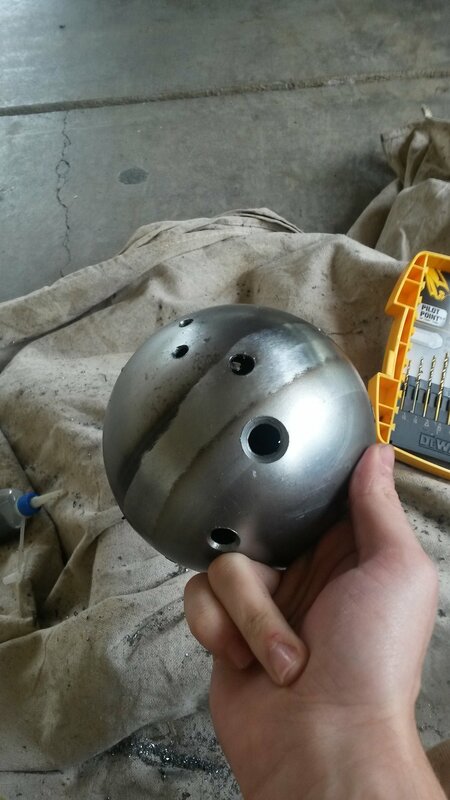 The holes are of varying sizes, and are arranged to be connected. In order to give an idea of the material’s thickness, and give the holes some depth, I used a countersink bit to make a chamfer. 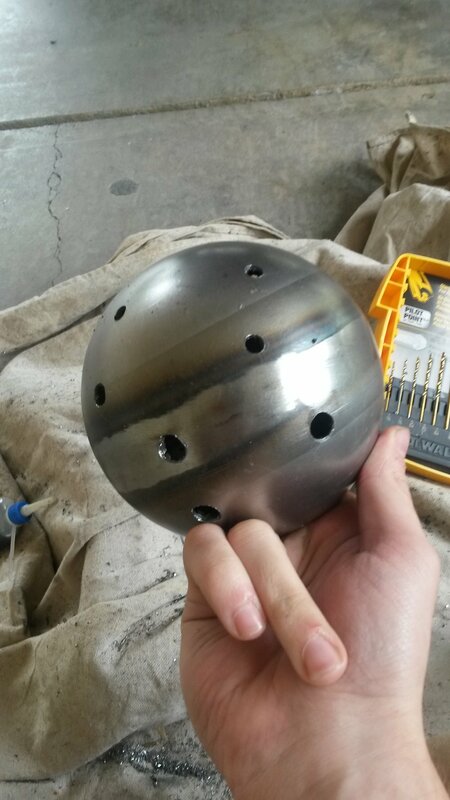 To connect the holes I used a cut off wheel. My inspiration for this comes from the lines that are used to connect the stars of constellations. 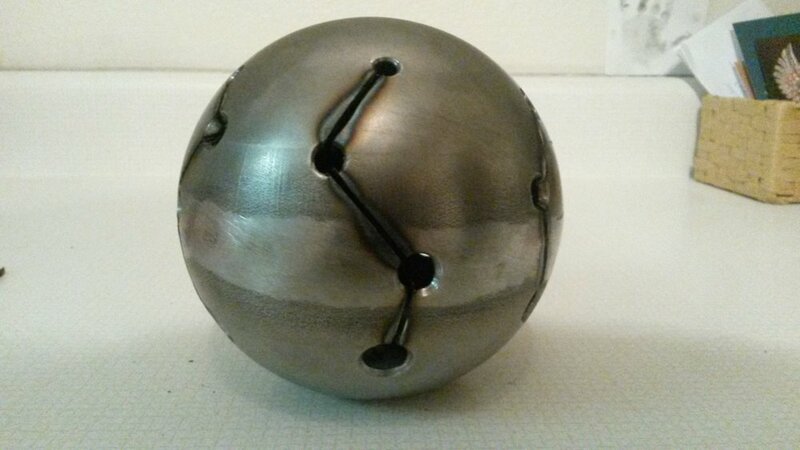 The cut off wheel left some heat marks on the surface of the sphere. These I removed with automotive sandpaper. I placed the power button close to the base of the lamp. 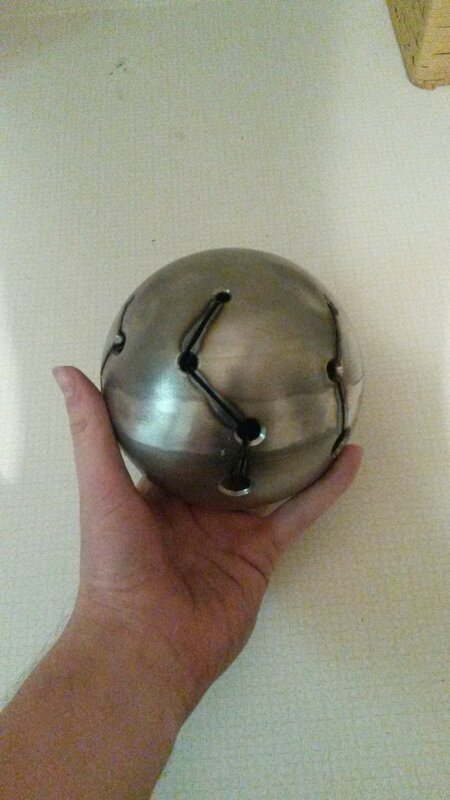 This gives you the ability to turn it on and off by rolling the sphere over the button, making it more of an interactive piece. 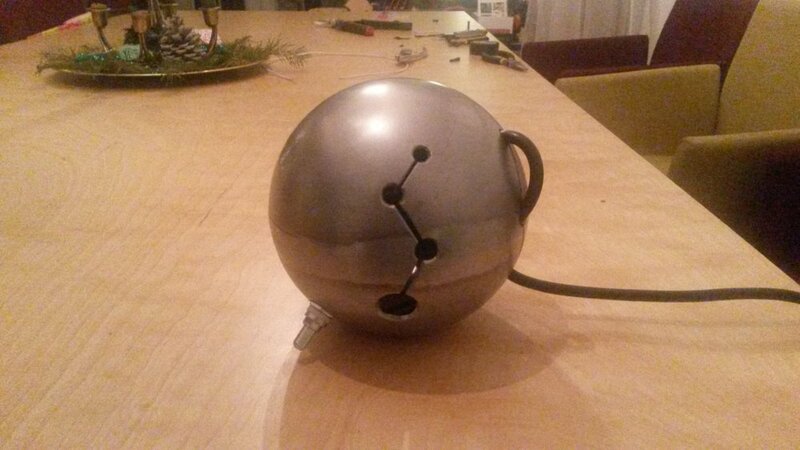 When thinking of the design of the lamp it was important to me that the power cord was not an afterthought. 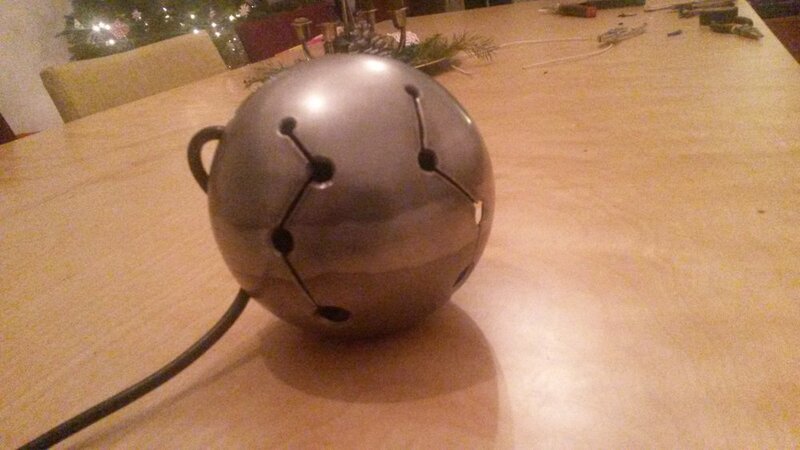 To include it in the design, and make it a part of the lamp, I threaded the cable through the holes, creating visual movement.